As always, we bring you the most enticing numerical nuggets ahead of the big weekend Bundesliga action, with this week's digits boasting a slightly chocolaty flavour for the season that's in it. Does your Official Fantasy Bundesliga team need refreshing ahead of Matchday 29? Head here to make some transfers! With the end to the 2016/17 Bundesliga now in sight, the division’s troubled teams are scavenging for points with more zeal than a hungry child desperate to find what the Osterhase – or Easter Bunny – has left. Of course, Osterhase translates as ‘Easter Hare’ from German and it is with hare-like speed that Ingolstadt have suddenly raced up on their relegation-threatened rivals of late. Seemingly destined for the drop until very recently, Maik Walpurgis’s courageous crew won all three games over the Englische Woche – scoring eight times – and have collected ten points in their last five games to move within touching distance of safety. A relegation classic is thus on the cards when Die Schanzer – who have won a club record four of nine away from home in the Bundesliga under Walpurgis – visit Wolfsburg. In contrast to the giddy Ingolstadt, the Wolves have been a little glum of late, winless in three and enduring back-to-back reverses to keep them 14th in the standings, just two points ahead of Saturday’s visitors to the Volkswagen Arena. Yet Ingolstadt will need to be wary bunnies with the predatory Mario Gomez in form. The German forward has scored all seven of his team’s goals under coach Andries Jonker while the only notch missing on Gomez’s belt of current Bundesliga teams he has scored against, is Ingolstadt’s. Dancing is frowned upon in certain parts of Germany on Good Friday – or Karfreitag – but Mainz [in 15th] will have the all-clear to bust out a Macarena should they halt their five-game losing streak on Saturday. Hertha Berlin are in western Germany to face the 05ers and with the capital club stumbling awkwardly through seven away-day defeats in a row, it appears the time may be ripe for Mainz to take the lead when these teams begin their waltz at the Opel Arena. Another side currently in a spin, Augsburg are winless in six and now among the bottom three having lost their last three games on the bounce for the first time in three and a half years. To counter Anthony Modeste’s blisteringly hot strike rate – which currently stands at 23 Bundesliga goals – Augsburg coach Manuel Baum may need to light a traditional Easter bonfire under his own charges, who could desperately use the three points on offer against Cologne. Elsewhere, Bayer Leverkusen are 12th in the table and a sixth home win of the campaign would bring Die Werkself some peace of mind from the trouble billowing not far below them. However, division leaders Bayern Munich are in town and will be hungry to entertain in front of a full house – their 350th consecutive Bundesliga sell-out. Tayfun Korkut’s Leverkusen team – the Bundesliga’s second-youngest – have lost all five of their games against the league’s current top three thus far yet they can boast having taken points in over half of their 15 games against Bayern since 2009. A spectacular 106th Nordderby is in store on Sunday with both Werder Bremen and Hamburg keen to maintain their admirable respective runs. Poor early-season results mean that neither side is out of relegation danger, adding spice to a fixture that has been played more times than any other in the Bundesliga. Bremen are unbeaten in eight, winning their last three while HSV haven’t lost in their last three meetings against their local rivals, taking seven of a possible nine points in that sequence. And finally to Darmstadt, whose Bundesliga fate could be decided this weekend should they lose against Schalke – a team they haven’t beaten since 1989 – and results elsewhere go against Torsten Frings’s side. 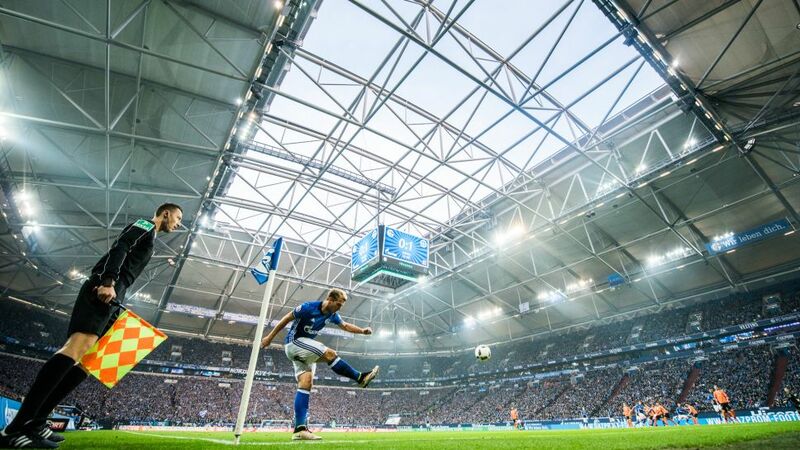 Darmstadt’s points haul of 15 – and a -37 goal difference – after 28 games is the worst record of any Bundesliga team in the era of three points for a win. But just as Easter eggs will turn up in the most unlikely of places this weekend, so might some crucial points for the Lilies.